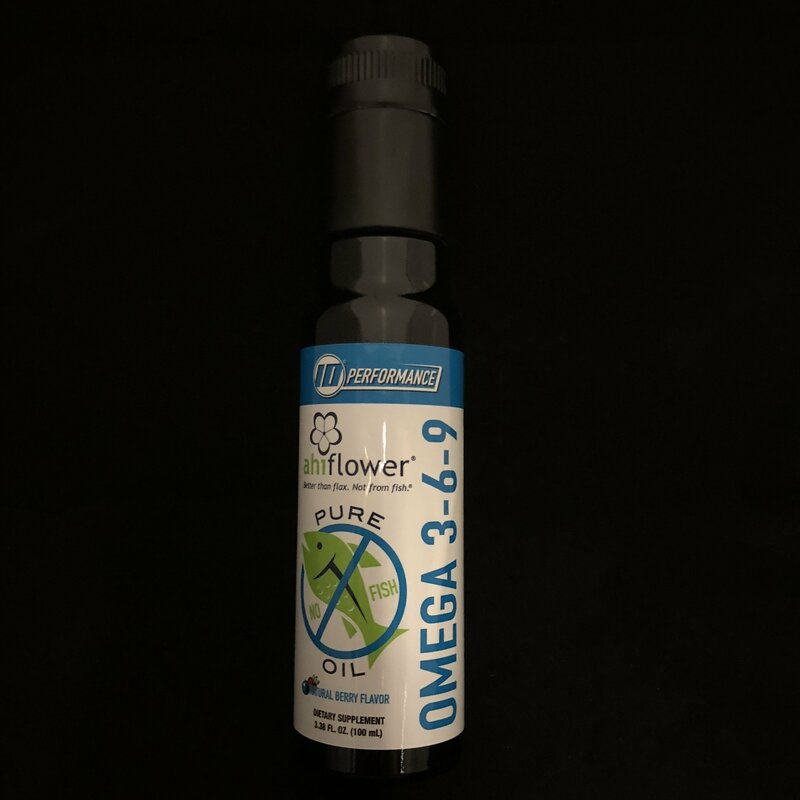 Ahiflower® Oil is considered the richest source of omega’s available. Ahiflower oil acts like a “turbocharged” flax, converting to EPA 400% more efficiently. Increased tissue EPA levels improve cardiovascular, cognitive, joint, and immune function. Our Ahiflower® Oil is rich in omega-6 GLA (Gamma Linolenic Acid) which is recognized for its anti-inflammatory cellular benefits. GLA is not found in flax chia or fish oil. 3.38 FL OZ. (100 mL).